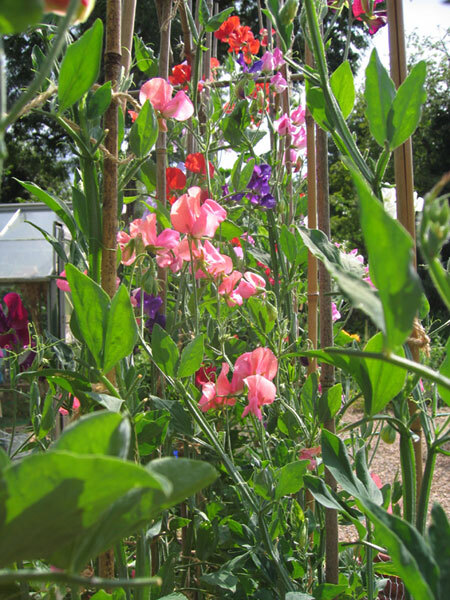 What is the best variety for cordon grown sweet peas? I can’t find an answer and have checked many websites. 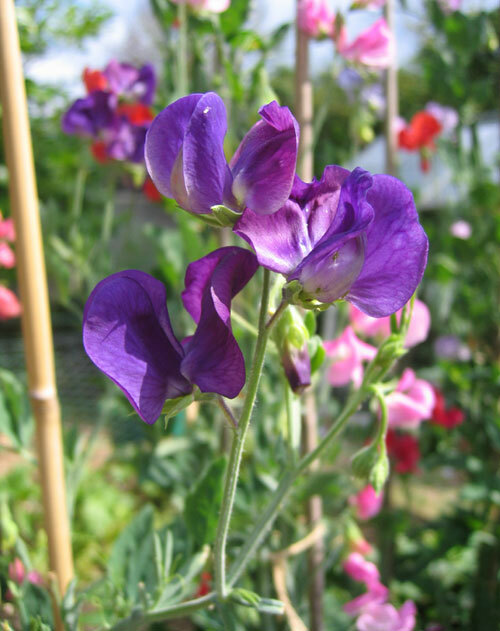 This year I grew the Thomson and Morgan Sweet Pea Collection of 10 individual varieties, which have produced some gorgeous blooms. I know there are dedicated show varieties out there, but to be honest I grow a pretty standard mixed collection every year. I always buy Thomson and Morgan, I just seem to get on with them better. I think it’s important to remove the first few flowers of the season, so the plant can establish itself before the hard work really starts. I also apply a 2-3″ layer of mulch when the plants are large enough to take it, and then a second mulch later in the season. 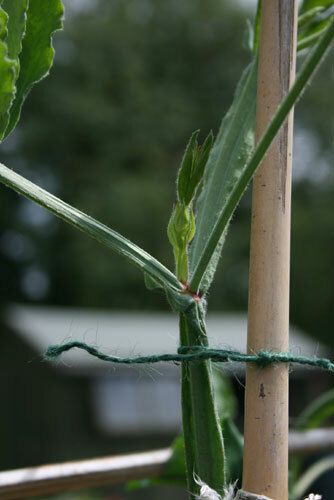 Other than that, all i do is remove the side shoots and tendrils, and keep them tied in. Oh, and I always try to sow my seed in February. I know many gardeners sow in late Autumn, but I find they don’t really get any further ahead to be honest.